Olcay Lojistik provides land GEORGIA and AZERBAIJAN Through our customer-oriented and minimum cost-maximum profit approach, we take your loads from your company and upon drawing them to our warehouse; we perform customs clearance processes for export on daily basis, and dispatch your loads to GEORGIA and AZERBAIJAN in a safe manner. Olcay Lojistik, provides partial freight shipment services to GEORGIA and AZERBAIJAN on a regular basis. 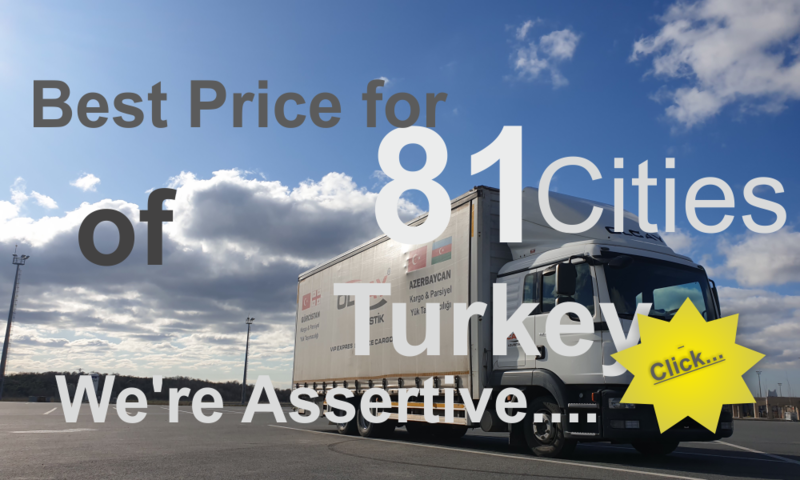 The most important factor that brings us forward that we are the only company loading the goods from Ankara and clearing them through Ankara Truck Customs. This enables you to perform shipment of partial loads with reduced costs. Shipping orders are delivered within up to 7 days to your address. - As Olcay Logistics, our services including Russia Partial Load, Russia Complete Load, Russia Cargo Load and Russia Gabarite Load operations are now available. - As Olcay Logistics, our services including Armenia Partial Load, Armenia Complete Load and Armenia Cargo Load operations are now available. - Including Georgia Shipping and Azerbaijan Shipping operations, your goods are in good hands with Olcay Logistics. 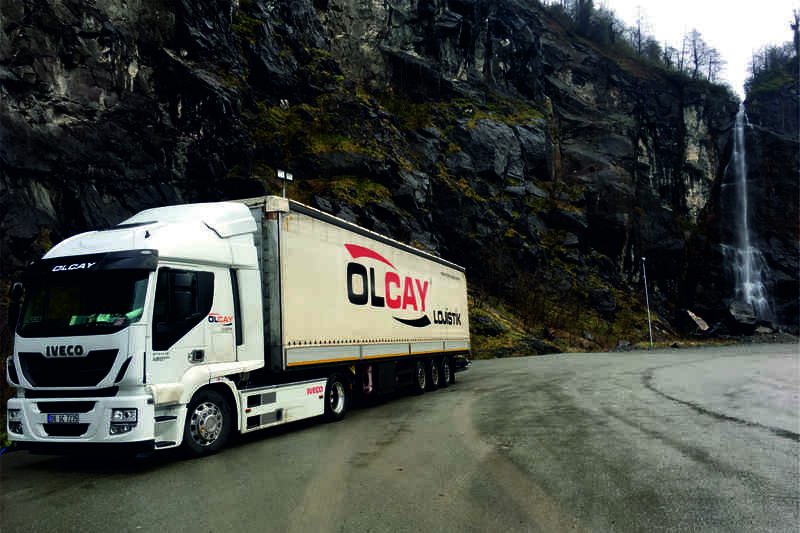 - As Olcay Logistics, we have started our Complete Load Shipping, Partial Load Shipping, Cargo Load Shipping, Carload Shipment, Project Load Shipping and Gabarite Transportation operations including shipping from Gaziantep, Malatya, Kocaeli, Mugla, Manisa, Balikesir, Sivas, Nevsehir, Bartin, Zonguldak, Samsun, Amasya, Osmaniye, Canakkale, Karaman, Kahramanmaras and Adiyaman to Georgia and Azerbaijan. We're waiting for your valued orders. 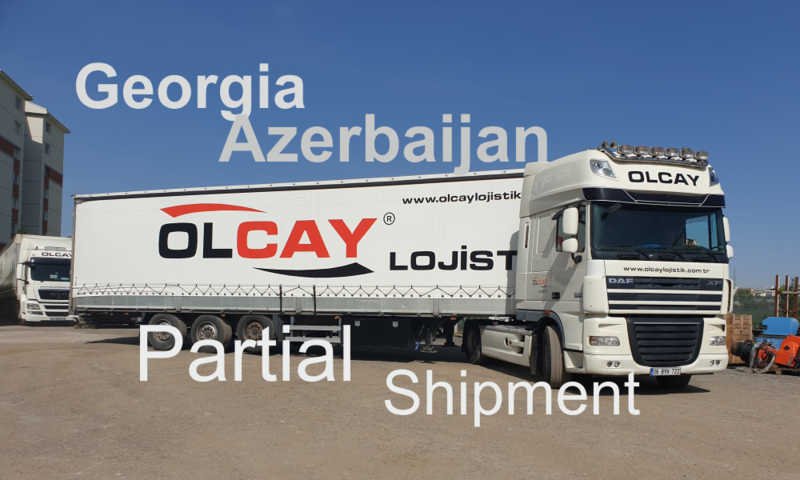 - As Olcay Logistics, we have started our Complete Load Shipping, Partial Load Shipping, Cargo Load Shipping, Carload Shipment, Project Load Shipping and Gabarite Transportation operations including shipping from Ankara, Istanbul, Izmir, Bursa, Konya, Kayseri, Denizli, Aksaray, Adana, Mersin, Eskisehir, Aydın, Afyon, Antalya, Corum, Bolu and Kirsehir to Georgia and Azerbaijan. We're waiting for your valued orders. - As Olcay Logistics, we've started our operations including loading your goods from Istanbul, performing custom clearance operations in Erenkoy/Halkali Customs Office and providing Partial Load / Carload Shipment / Cargo Load Shipping Operations to Georgia and Azerbaijan. We're waiting for your valued orders. - As Olcay Logistics Centers Our warehouse has been in operation. We welcome your valuable order. - As Olcay Logistics, We Have Obtained our Brand Certificate of Incorporation. - Olcay Logistics Facebook Page is now at your service. 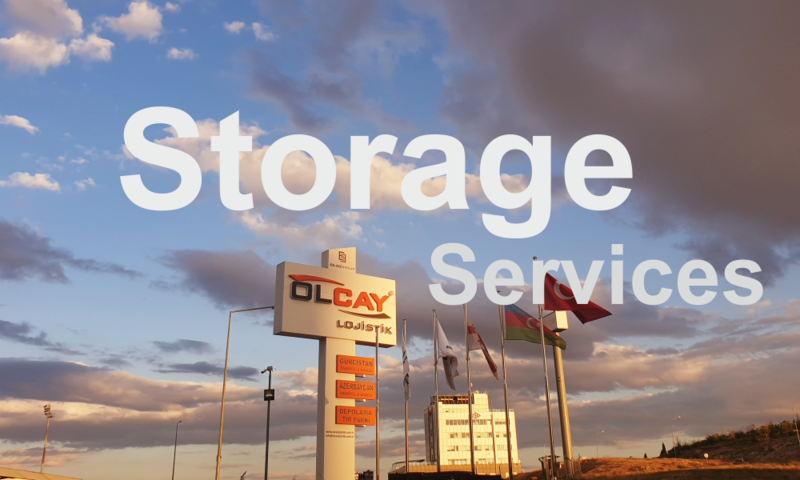 - Olcay Logistisc Twitter Page is now at your service. 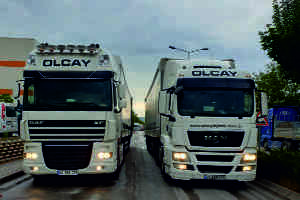 -Olcay Logistics provides periodical partial load and complete load services with land transportation from Ankara to GEORGIA and AZERBAIJAN. -Your partial loads are cleared through Ankara Truck Customs. -Olcay Logistics offers airline transport, railroad transport, maritime transport and warehouse services, as well clearance services. 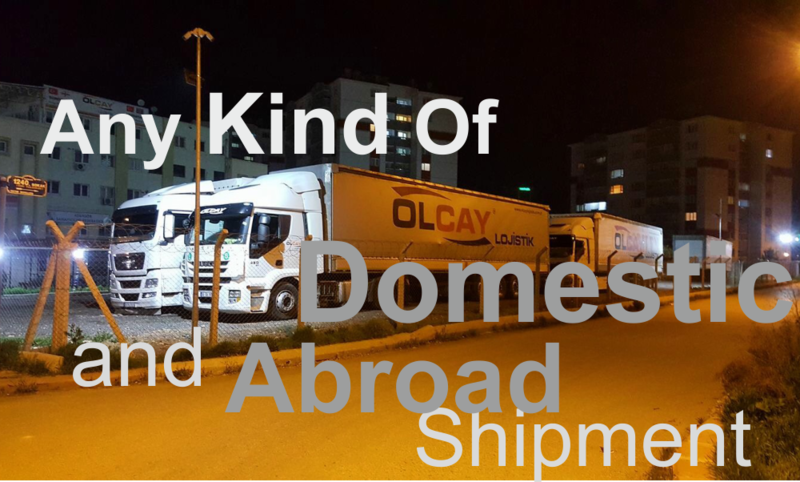 Olcay Lojistiktakes its know-how and experience obtained from abroad one step further in domestic logistics field and thus has become assertive in service and service tracking. Using its know-how and solution-oriented experiences, it meets your domestic transportation and domestic logistics needs almost immediately. As Olcay Lojistik, we have available open and taut liner vehicles on trailer, truck and light-duty trucks basis to every region of Turkey. Using these vehicles, we provide partial shipping, partial transportation, cargo transportation hizmetlerini complete transportation and gabarite transportation services for domestic transportation from Ankaraaccording to the specifications of your loads in our brand located at Ankara Şaşmaz Transporters' Site. Olcay Lojistik, is assertive in its services and service tracking. It provides mailing services to its customers to notify the location of the vehicle. Our vehicles are equipped with GPRS/Tracking devices. Through the location notification mails received from the vehicles, our customers may track their loadseach day without calling us. Each customer is assigned with a tracking number for partial. We take your partial load with our light-duty vehicles from your address and bring them to our warehouse Partial freight shipment, freight shipment to abroad, domestic freight shipment, , customs clearance services, storage services, fair logistics, maritime transport, airline transport and railroad transport services are provided to our customers in a synchronized way.